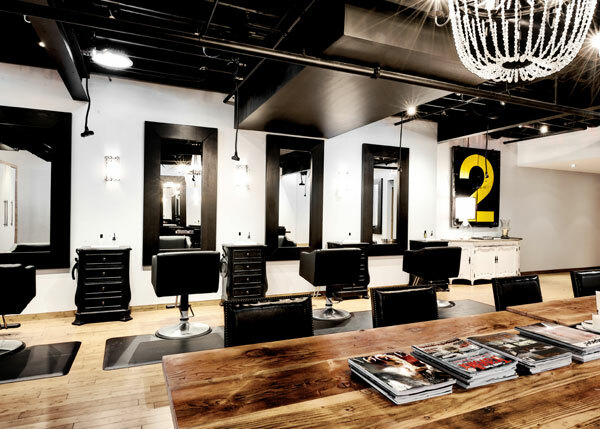 Bespoke Hair Artisans might be in the heart of Minnesota, but British heritage was at the heart of their award-winning salon design. 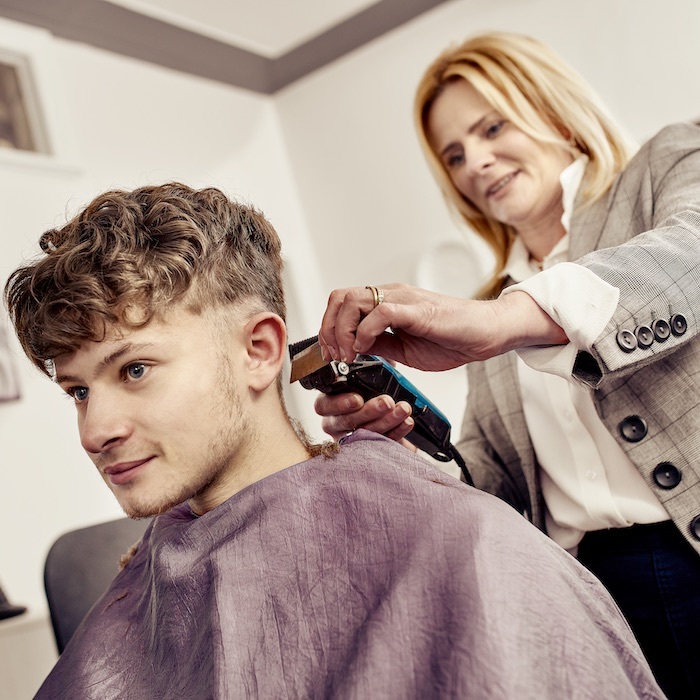 Taking their name from the Savile row tailors who create bespoke suits for the great and the good, Bespoke Hair Artisans is more than a Brit-inspired salon. 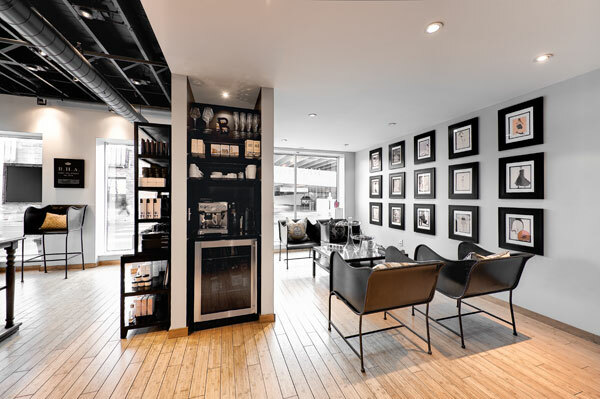 Founder Lisa Williams believes hairdressing to be a craft, with no one-size-fits-all solution; an ethos which she has also applied to the decor of her luxury boutique salon. 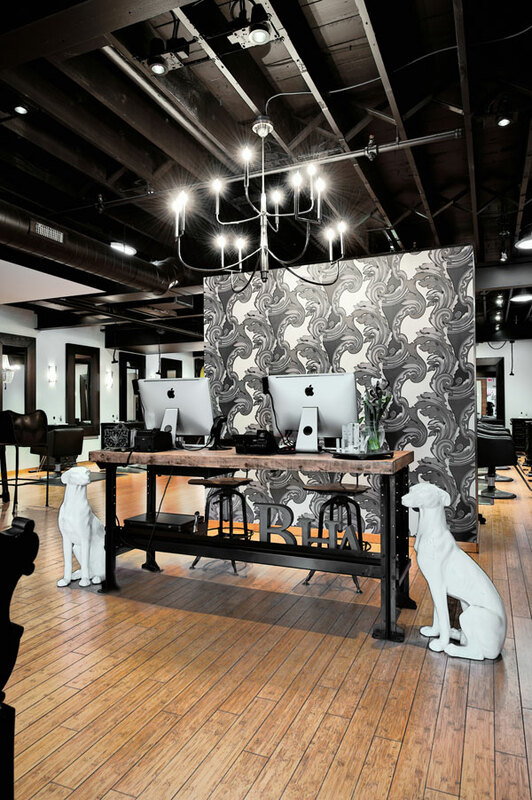 Chandeliers, Regency-inspired furniture and a Baroque-print feature wall all pay homage to vintage European elegance, but they’re brought bang up to date when partnered with an open-plan design, stripped wooden flooring and gallery-worthy modern art prints on the walls. 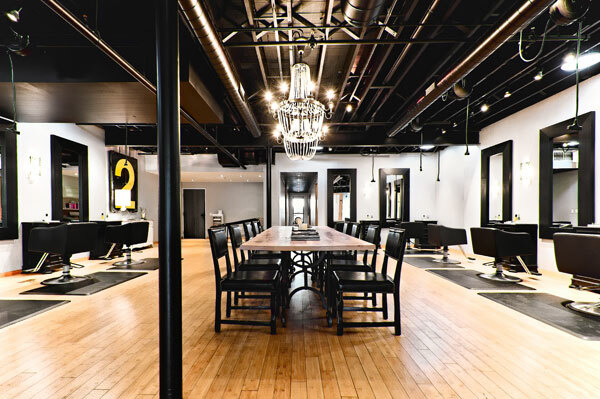 A central wood and cast-iron table dominates, providing clients with a communal space to chat, relax or catch up on work while their colour processes. 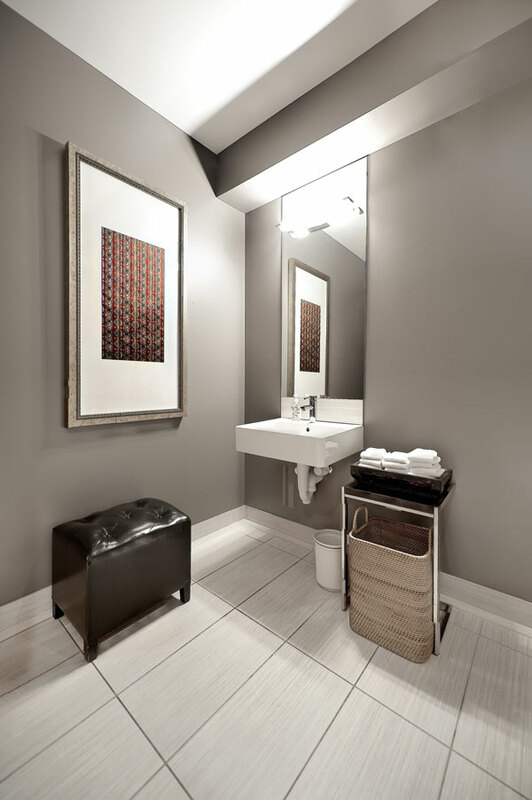 An enormous stash of top-end fashion mags artistically arranged also ensures clients are safe in the knowledge that they are in fashion-conscious hands. 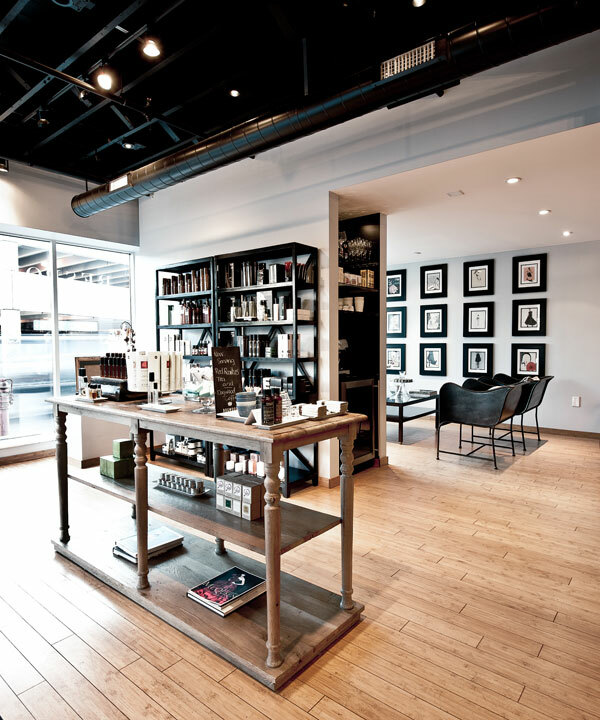 The open-plan layout of the reception and retail area encourages further customer interaction, allowing guests to browse at leisure without feeling pressured into a purchase. 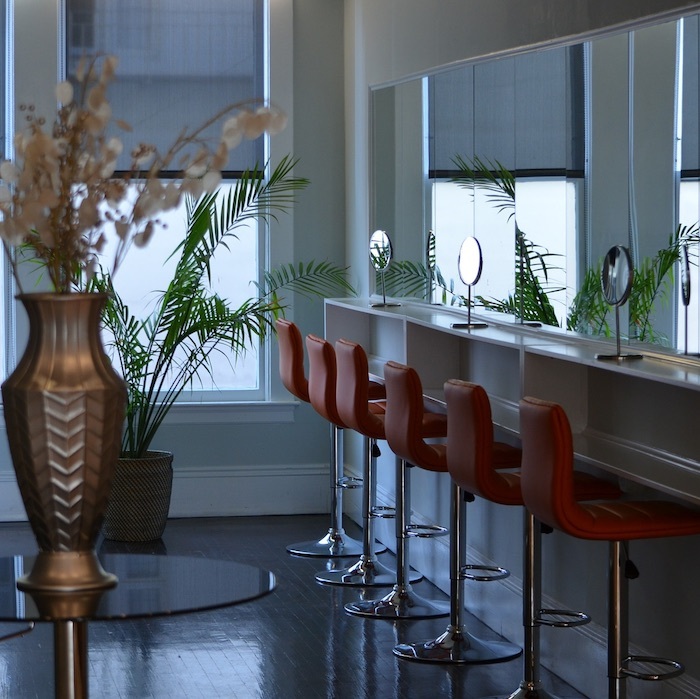 See also the makeup station on the salon floor, tempting clients to trial brow threading or shaping while giving them an insight in to the stylish salon. 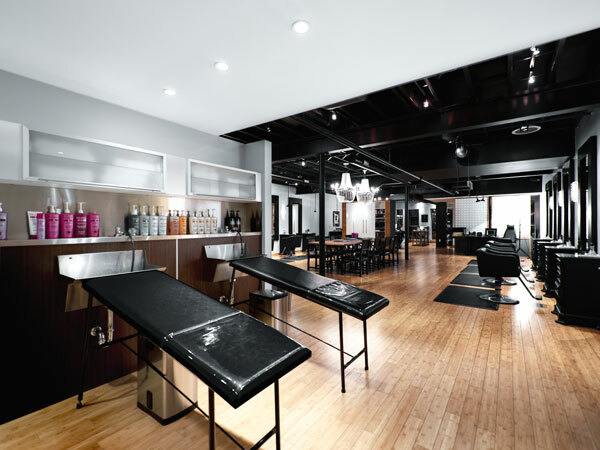 Take a tour of the salon space in the gallery below!